Over the years we’ve seen our share of Ford Skyliner Retactables, but this week Vanguard Motor Sales in Plymouth, Michgian just posted the nicest one we’ve seen in ages. What a stunning two-tone paint job. It won AACA Senior First Place at the AACA Nationals in 1989. The recent owner kept it in the wrapper for the past 30 some years. You would think it had just gone through a frame-off restoration yesterday. The spectacular frame-off restoration was done at RM Restorations, part of the same company that does the RM Sotheby’s Auctions today. 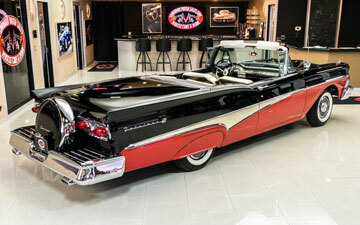 Vanguard tells us that RM Restorations was, at that time, the premier restoration facility in Eastern North America. The paint and body still look like it was done last week. For a black car to look as straight as this one does is amazing. Click here to look at dozens of detailed photos in the ad. The engine is a numbers matching 352 ci Police Interceptor motor which they say was just recently rebuilt to stock specs and “runs like a top.” Mated to the numbers matching engine is the Cruise-O-Matic 3-speed automatic transmission. The car was very highly optioned when it was new and is equipped with power steering and power brakes. The Skyliner top was just rebuilt in 2017 and rebuilt or refurbished as needed. Vanguard tells us it works perfectly both up and down, and all the components were either replaced or rebuilt, so they are like new. 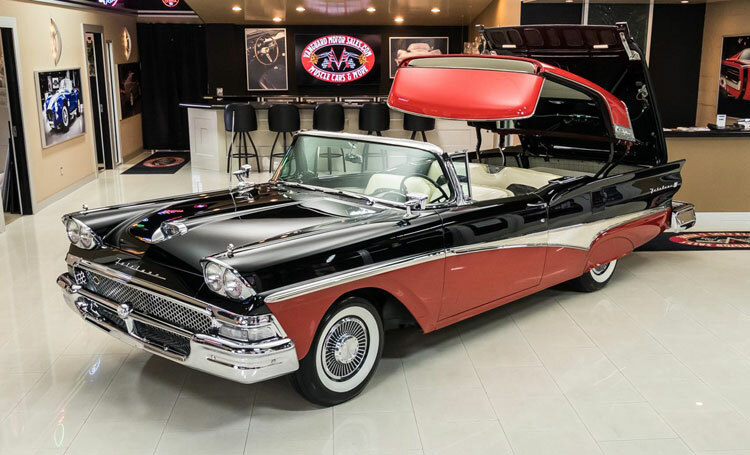 You have to click here to read our in-depth article on the 1958 Ford Skyliner Retractable Hardtop at our MyDreamCar.online blog page. There you will find a new video done by Greg at Vanguard Motor Sales. He test drives the Retractable in the video, then he puts it up on the lift. You won’t believe how clean the undercarriage is on this classic Ford. Enjoy. 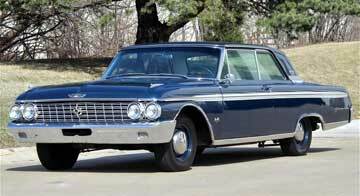 The 1962 Ford Galaxie 500 with the G Code 406/405 hp Tripower engine was the monster muscle car of an earlier Blue Oval era. For a brief time it was the terror of the dragstrip, although it was quickly replaced by the 427 cars. Breathing through Holley tri power carbs it created 405 hp and 448 lb ft of torque. Oh, make no mistake, Ford knew exactly what they were doing. It came with heavy duty suspension and brakes, plus a Borg Warner T-10 Toploader four-speed (the only way you could order the G Code engine). 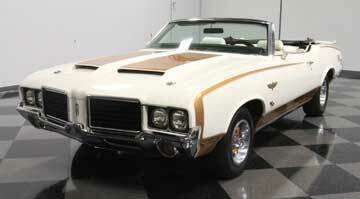 This week, KC Classic Cars out of Lenexa, Kansas has this one in the condition a collector is looking for. It was ordered for the track. We know that because it was ordered without power steering or brakes, air conditioning, deluxe wheel covers, engine dress-up items, or even bucket seats. The buyer had only one thing in mind. That's why it also came wtih the optional 4.11:1 rear axle. But this one was never cut or tubbed, so it remains a 62k original mile car. This is the way you want to remember it. It has been preserved right. You've heard of the Shelby Continuation Series Cobras. It seems that everybody was producing a Shelby Cobra replica but not Carroll Shelby himself. He corrected that when he came out with the Continuation Seires where he authorized a certain number of Shelby Cobras which would be numbered in the CSX series just like the originals. In fact, We Be Autos in New York tells us this one may be one of the finest in that series because it was built by former Shelby American technician Chris Kincaid. 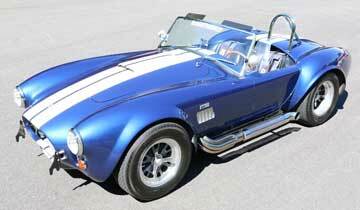 This 1965 Shelby 427 S/C Cobra is number CSX 4803, and it comes in Lemans blue with Wimbledon white stripes. They say it even has the matching engine block number. Under the hood is a heavily built Keith Craft 427FE Shelby aluminum block CSX4803 (stroked to 468 ci, fully balanced and blueprinted, 9.8:1 compression ratio runs on pump gas and produces 570 horsepower.) All the little details were added to the CSX 4803, including 15" hardwood rimmed steering wheel, Shelby Signature Series gauges (including the fuel gauge), Simpson 5 point drivers and passengers racing harnesses and much more. The dashboard was even signed by the man, Carroll Shelby. .
Get the full tour of this 1971 Camaro RS Z28, including a full walk around, interior, and underside shots. 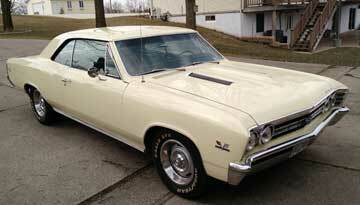 The video is from a seller in Beamsville, Ontario, Canada who says this Z/28 is a real time capsule that runs as new. That might be in part thanks to a recently restored date code correct 350. There's also a date code correct Muncie M20 transmission. The price certainly warrants a closer look. It's just $45,000. Watch the video above, or click here. Restoration expert, Craig Kalmes of Iowa, left no detail overlooked during the restoration of this 1967 Chevelle SS 396. The listing comes to us from a seller in Dyersville, Iowa who says the 396 Turbo Fire was built to 375 hp specs and fortified with a bigger cam and carb. It performs just as new, and was professionally maintained. The odometer shows just 33,000 miles! 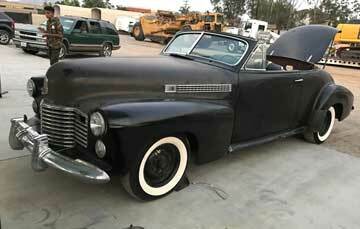 A resident of Riverside, California just listed this 1941 Cadillac Series 62 Convertible which promises to be a fun project. The owner states they have all original parts. There's new breaks, clutch, and radiator. The engine runs well. Some minor rust damage is present on one floor plan, but it appears to be an easy fix. The seller welcomes any questions you may have, so take a look at the listing. 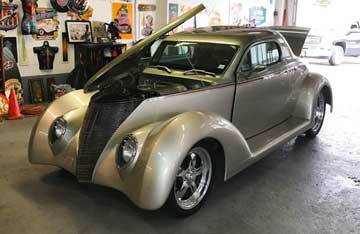 A custom shop in Branson, Missouri built the 1937 Ford 3-Window Coupe you see here courtesy of a seller in Festus. They tell us it features a custom Ostrich leather interior, 20-inch rear wheels, a front Air Ride system, as well as Lokar parts. The asking price on this one is well below the cost to build, sitting at just $52,000 after an almost $11,000 price reduction! Sanderson nickel plated headers. 402. Turbo 400. 350ci V8. Detailed engine bay. Custom chassis. Electronic fuel injected 5.7L V8 Hemi eng. "Scary fast." New Age Motorsports body. 327. Big block Chevy 572 V8 700+ hp. Shaved doors. 383 Stroker V8. Turbo 350 auto. Cold Air. Strong 350 V8. Custom bed. 1923 Ford T Roadster, Streetside Classics, Orange Crush, Fast & Loud! Air susp. Premium sound. Navigation. Cutting edge styling. Eco-friendly tech. 60mph in 4.5 seconds. "Like new in all ways." Black leather int. Power top canvas. 368ci V8. Solid. No rust. Original 348. Light up hood ornament. Great potential! Optional seatbelts and padded dash. 312 runs great. Bored out version of the 265ci small block. Highly desirable 1s year hornet. See video. Red vinyl bucket seat int. Air Ride Tech suspension. Check out the Lowrider Section for more. See more in the Haulers Section or the Trailers Section. One owner. Factory A/C. See video. Detailed restoration. Cold air induction. GM 350ci V8. "Loaded to the gills." Ford 420 hp 347ci Stroker V8. See video. Smooth 230 Flathead 6. Texas Tech Red. Fresh interior. 4x4. Strong 350 V8. Great running 4x4. Leaf springs. Rear view camera. Heated steering wheel. Front bucket seats. 10-spd auto. Onboard navigation. Like new. Full warranty. Autocheck Certified. Prestige Pkg. S Line Pkg. Navigation. Exceptional survivor cond. 45k actual miles. Steel build. LS1 V8. Ultraleather. One owner from new. 17k miles. See video. Suicide doors. 462ci V8. See video. Euro-Market car. 4-spd manual. See video. One owner. Original interior. Rare color. Reclining seats. 327ci V8. Rare Rambler Marlin. Magnum 383. Auto 727. R/T hood scoops and stripe. Factory A/C. 413 V8. Power swivel seats. Fully optioned. Seafoam Green. Original 390 eng. Muncie 4-spd. 408ci small block. 4:11 Posi. Lokar shifter. Custom radio. 350 motor. Lots of originality. 66k actual miles. Coachwork by Park Ward. 132" wheelbase. Original title. True survivor. Looks new! Deluxe steering wheel. Rare fender skirts. Has a 5.7L Hemi. OD auto. R/T badging. Factory R Code 426 HEMI. Fully documented. New chrome. NOM 350/350 hp. See video. Like new cond. Longtime owner. Complete with docs. Matching #s 302. Hi-Po 302. 4-spd manual. Black int. Original solid lifter Hi-Po LT1 350/360 hp. Period correct 454ci V8. Bucket seats. Matching #s and docs. 4-spd. Saddle int. TH400. Matching #s 454 V8. See video. NOM 454 big block. 3-spd auto. Console. 350 hp big block. Bench seat int. Protect-O-Plate documented. 327ci. See video. Muncie 4-spd. 10-bolt rear. Vintage air. Matching #s 400ci 335 hp. Vintage tach. See video. Family owned for years. 389 V8. Newly listed. 389 Tripower, 4-spd. Muncie 3-spd. 12-bolt. Rare Lucerne Blue. 1969 Pontiac Firebird from Parkland County, AB, Canada, Sport Pkg. Auto 3-spd. See photos in listing! Only $28,750. 550-hour resto. 425 Nailhead V8. On of only 67 with 4-spd. Concours resto. Runs/drives well. Near show condition. Supercharged LS9 638 hp. 135 miles. Naturally aspirated 427cid. Signed by build team. Not a scratch on it! Only 7k miles. 650 hp. Z07 Perf Pkg. 2013 Corvette 427 60th Anniversary Convt. Optional stripe pkg. LS7. 6-spd manual. Only 17 produced with this option group. Supercharged 6.2L LS3 V8 580hp. 19k miles. GM 350ci V8. Cold air cond. Sony sound system. Over the top resto. 450 hp eng. Custom bed. Custom wheels. Magazine feature. Chevy 350ci V8. MSD ign. Under dash VDO eng. 1990 Chevy Silverado Fleetside from Ada, OH, Air Ride by Air Ride Tech. All steel. Stock dash. 548 F3 Procharger eng. Re-finished int. Added gauges. See video. Original flathead V8. 3-spd on the column. Heated power seats. Full factory warranty. Bluetooth. Genuine wood instrument panel. Full pedigree. AWD. Certified miles. Black leather int. NAIM audio. Brand new tires. Immaculate. 7-spd auto paddle shift. New custom int. Demon 625 carb. Original 283. Only $24,500. LS engine swap. AutoMeter gauges. 572 Merlin V8. Rock Crusher 4-spd. Powerful Chevy V8. Full bar. Multiple TVs. Displays only 7,581 miles. Matching #s 500ci. Rock solid. Mostly original. 327ci V8. Florida car. Rebuilt eng/trans. Vintage A/C. White leather int. Original 429 eng. Fun cruiser with a 389 V8. Iris Mist. See video. Low miles. Blue cloth int. 305 HO V8. Well maintained. Clean. Only 31,140 miles. Desirable 5-spd manual. Heated seats. Exquisite paint job. Polished aluminum wheels. NOM 327. 4-spd. Upgraded stereo. Original wheels. See video. Nice restoration. Desirable color combination. Only 2 lifetime owners. Essentially a true survivor. See video. Has a 327/340 hp and 4-spd trans. Period correct 283/290 hp. Wonderbar radio. Powerful L82 eng. CB radio. See video. Well maintained. See video test drive. Matching #s. 1 of 242. Weber carbs. Detailed undercarriage. Red leather int. CA black plate car. Presents well. PCOA documents. Fully restored. Bahia Red. Original seats and owners manual. Matching #s. Desirable colors. 1600c engine. Inline-4 1250cc eng. Clean inside and out. Almost none of the special edition, enhanced performance versions of the Olds/Hurst mashup exist on the road today, making tributes like this 1972 Hurst Oldsmobile Convertible a wise alternative for those seeking to experience the magic of that pivotal model. This one has a big 455 V8 under the hood. 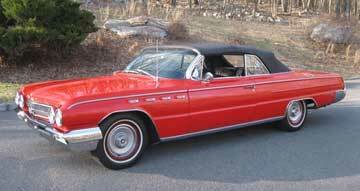 How would you want to equip a 1962 Buick Electra 225 Convertible like this one? How about a factory Buick 401 Nailhead V8 engine, Turbine Drive automatic, power steering, and power brakes? There's a lot to love in this package, all for an astoundingly low price of $14,900. That'll make it the premier DEAL of the DAY starting Saturday! 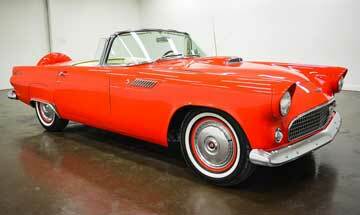 We like to see Thunderbirds like this 1956 Ford Thunderbird from Classic Car Liquidators for less than $30,000. It's a great deal, with an aftermarket A/C, tach, removable hardtop, Stewart Warner gauges, a GM Performance aluminum intake, and even an aftermarket sound system. All for $29,999! See many more features in the listing and decide for yourself if it's the deal you're looking for. 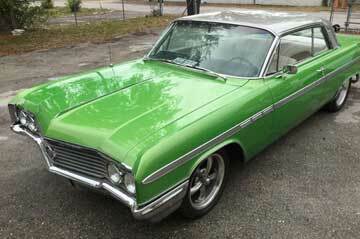 The striking color isn't the only thing that caught our eye regarding this 1964 Buick LeSabre Resto Mod. The listing is from a seller in Clearwater, Florida who tells us it features a 300 engine, 3-speed automatic transmission, power steering/brakes, and a new interior. They're only the second owner and indicate it comes with some new components as well. The price is just $17,500. This one's worth a closer look! 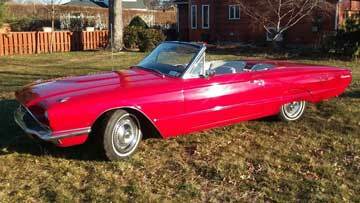 Bay Shore, New York is currently home to this 1966 Ford Thunderbird Convertible from a private seller. They say it's a nice driver with a 390 and an automatic transmission. It looks well cared for in the ad photographs and could be the start of a great collection. The price is attractive at $17,000. Fun. Fun. Fun! 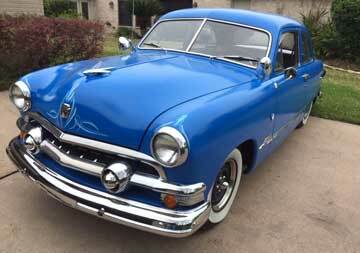 This 1951 Ford 2-Door looks like it'd be a blast to tool around in. The seller from Houston, Texas says it runs great and has a host of new components to help the ride, too. There's a Flathead V8, 3-speed on the column with overdrive, new tires, and an excellent, original body with zero rust. You can see more in the ad photographs. The seller is asking just $9,850 and is willing to consider trades as well. Call and get the conversation started! Dave from Riverside Motorsports in Janesville, Wisconsin SOLD this beautiful 1979 Pontiac Trans Am using our popular Run Till Sold ad. "Please mark with a SOLD!"